Another designer I got paired with this month was the very talented Ivory Key Digital Dreams. 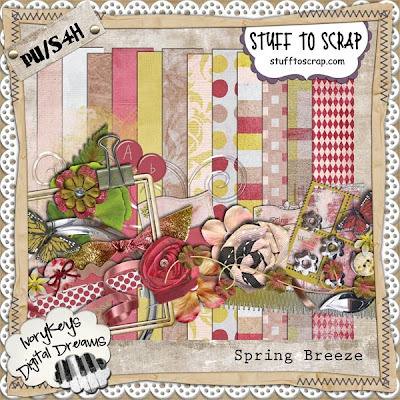 I love her kit Spring Breeze, available at Stuff to Scrap. Although it may look a bit girly, as you can see it works great with pictures of our youngest son. There are great browns and greens in there. LOVE it. 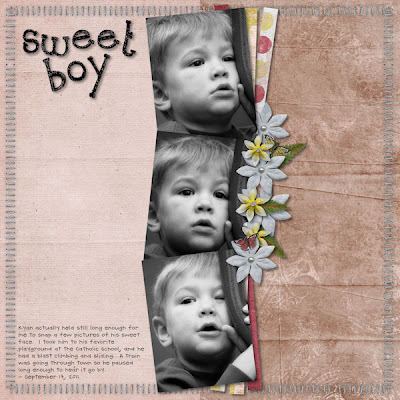 Here is the first layout I created, for a challenge of the week. 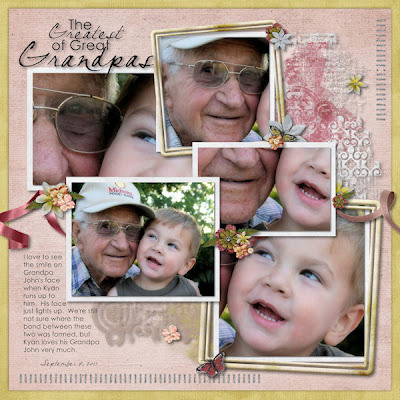 This one is of our 2 year old with his 93 year old great-grandpa. Those two are the best of buddies. I can't believe I actually got a sweet picture of them together, especially since Kyan is always on the go. Here's another layout created for last night's speed scrap. The instructions were awesome, and although I was late...I couldn't pass it up. See how this kit works great with boy pics. Go grab this great kit now.